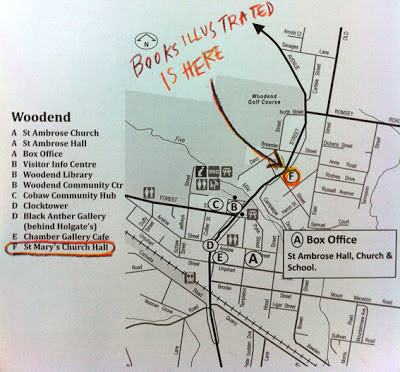 Come and visit the Books Illustrated exhibition of prints and original illustrations Woodend it be Fabulous at the St Mary's Church hall as part of the Woodend Winter Arts Festival on this weekend. The feature artists for this exhibition will be Jane Tanner and Ann James. On Sunday 8, both artists will be demonstrating in the exhibition, and at 12.30 to 1.30 we will run a session Woodend it be fabulous to be an illustrator! 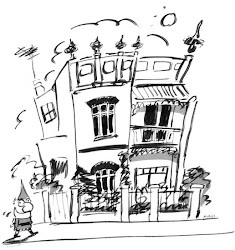 for budding or would-be illustrators. This festival is held over the Queen's birthday long weekend every two years and offers a wide ranging arts program. The town of Woodend, is an easy one hour drive up the Calder freeway , is set in a lovely part of Victoria ... well worth a visit to celebrate the start of winter, it also an easy train ride from Southern Cross Station, Melbourne .... we'd love to see you there! Click on the image below to view the full program. 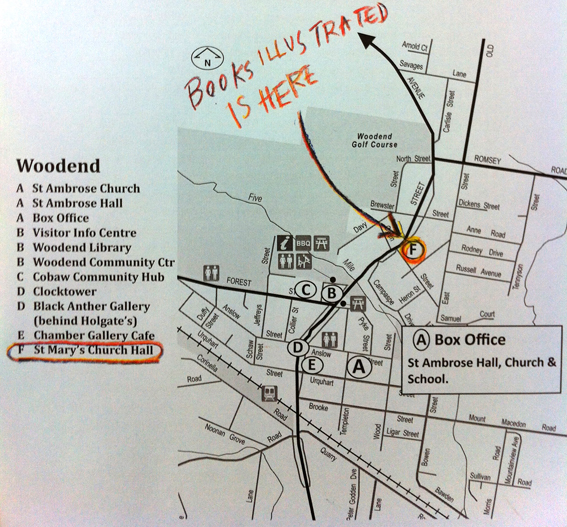 And here's a map to find us in the beautiful new hall next to St Mary's Church!